There are many different varieties of the Brake Fern with 280 different species of deciduous or semi-evergreen ferns. Many of these are found native in the tropics where the humidity level is high. They make excellent houseplants as they only grow from 6 inches to 2 feet tall depending on the variety of fern and do not get huge and take up much space. They vary in colors and frond lengths, from dark green to light green and something yellowish. Mixing and matching different ferns in your home is very appealing and can add texture also. They require bright light which can be natural light or even fluorescent light. Sitting your fern beside a window and letting it absorb all the light streaming in will make it happy. Keeping the soil lightly moist at all times is essential along with adequate drainage, but you do not want it too soggy. They prefer humid air along with cooler evening temperatures and warmer daytime temperatures. This plant is versatile and hardy in the home as long as you give it adequate light and moist soil. Brake Ferns have many names, one of the most common is the Eagle fern. It is the most luxurious fern there is. The fronds are full, thick and quite bushy. This fern is easy to grow and needs little maintenance. Brake Fern also knew as Pellaea. Hardy planting zones are 2-10. The growth rate of this fern is up to 3 feet at full maturity. This fern has long, pointed fronds. This plants are not invasive and make an excellent groundcover because it grows low to the ground. 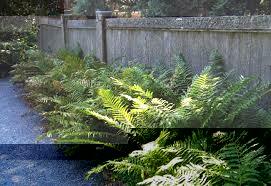 Ferns make great plants because once they get established, they are hard to get rid of. In addition to placing the plant in a relatively humid area, it is advisable to make sure that any of the messy fronds on the leaflets are appropriately trimmed when they emerge. While the plant can survive without trimming back the fronds, making sure to print it regularly is the best way to optimize its lifelong health.